A while back I bought this pattern because it was $1 and looked relatively easy to sew. 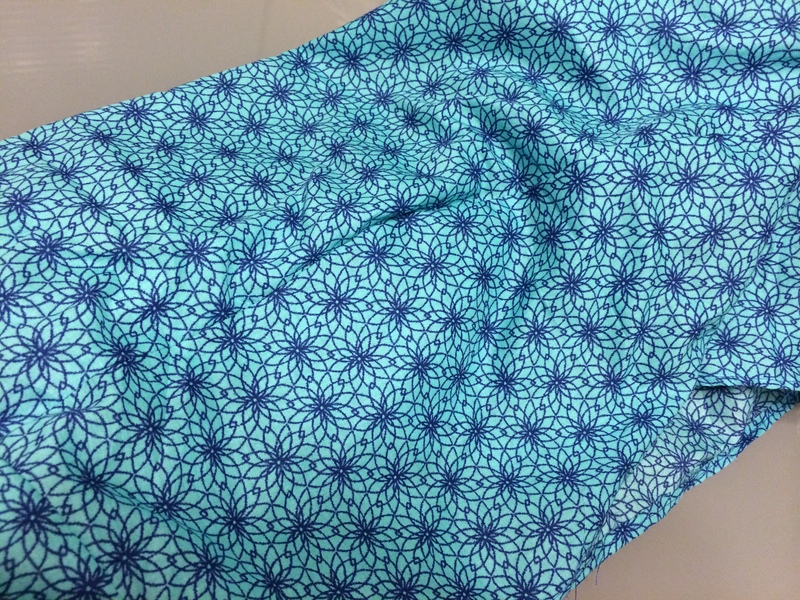 Usually when I buy a pattern I choose the view I like most (view A, the blue dress) and proceed to cut it so it’s ready for when I want to use it. Saturday I used the pattern only to see that the English instructions had gone missing….OH NO. 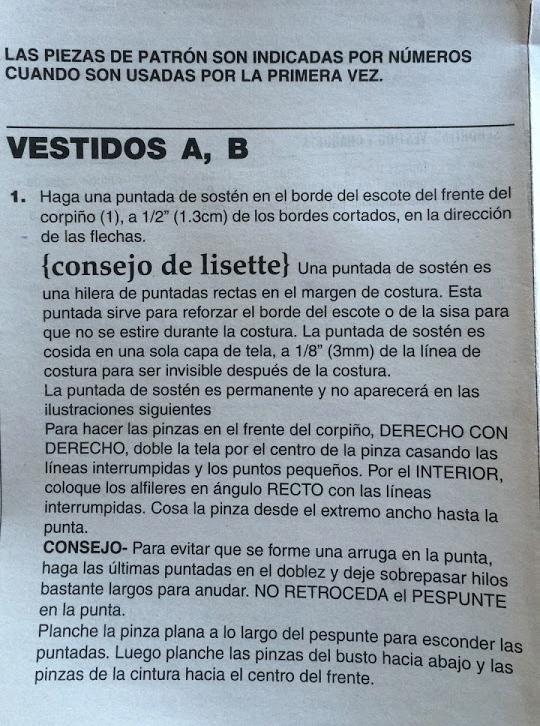 I was left with Spanish instructions and no illustrations. My husband downloaded an iPhone app to translate the directions only to find that they were verbatim…and made ZERO sense. Based on the markings I figured that I could make it work anyway. Patterns are basically puzzle pieces so it should be easy, right?! Sort of. I was chatting with my best friend who happens to be fluent in Spanish so she was able to help with some of the steps. Even some of her interpretations didn’t make sense until she broke it down enough for me to make a guess. Good times. The print is very symmetrical so it’s really hard to photograph! I sewed the bodice to the side panels doing my best to match the symbols and proceeded to sew the rest of it together, leaving 18″ for the zipper. This design has cap sleeves but with no instruction, I ended up sewing them shut only to rip the seams open when I realized my mistake. The dress also had facings around the neckline and that was the easiest part surprisingly. After spending my afternoon frustrated I did as much as I possibly could, leaving the hem and zipper for another day.